Jon Jon Florence is 14 year old. He lives right on Ehukai Beach Park, the epicenter of the North Shore of Oahu. His backyard is 100m away from Off The Wall, Backdoor, Pipeline, Gas Chamber and Rocky Point. A few "names" hang around his house. Tom (Curren) and family crash in the back house. 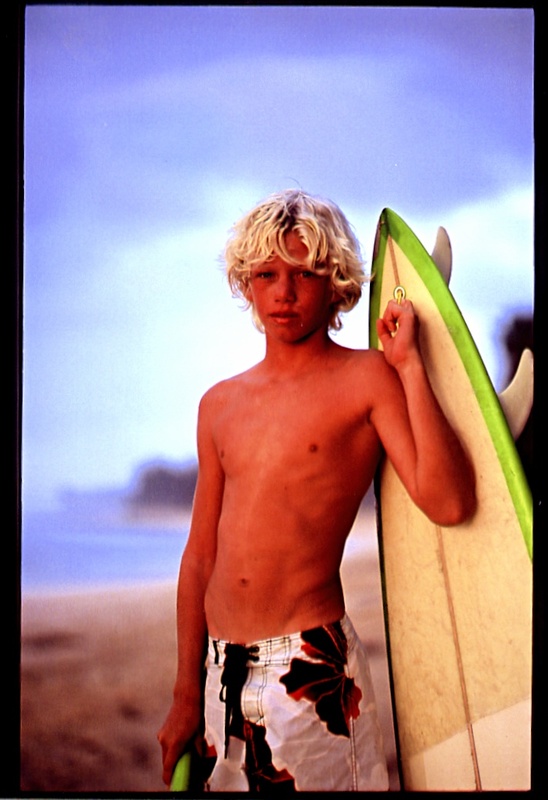 That day, Kelly (11) convinces the kid to take his biggest board and have a surf in Waimea. A good 20minutes walk for a solid 20ft session. The kid will take a few waves, enjoy the company and sets his mind for more and bigger to come.